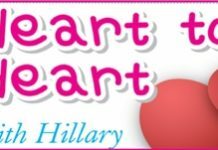 Home Blogs Heart to Heart with Hillary Does anyone else have the same problem as me? Does anyone else have the same problem as me? A farang wife, yes I know I brought sand to the beaches, but she has to do a visa run every few months – and she forgets. She is a very independent woman and won’t let me take charge of keeping the visas current. Only problem is I end up having to pay for over-stays and that’s getting expensive these days. What do you recommend I do? This is very easy to fix. Give her the independence she want, let her arrange her own visas – and let her pay for her own overstays. If she does it too often she will get deported as well, so you might kill two birds with one stone here. Previous articleCircles of Confusion – or Confusing Circles?